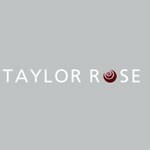 With two offices, London and Peterborough, Taylor Rose LLP have decided to run with two websites. The logic being that two sets of websites create twice as much metadata (Google speak) and ultimately lead to more visibility online. We take the view that their existing website, whilst attractive, isn't performing as it should do from a Search Engine Optimisation stand point hence our goal is to better the Google positions they currently have. Commissioned on the 15th March we've finished most of the website and are simply waiting on staff details to complete the process. Taylor Rose have nearly 100 staff so there's a wee bit of work to be done. We'd expect to start picking up positions on Google in the next couple of weeks and then we'll establish their Social Networking campaign. The existing website is www.taylor-rose.co.uk. The work we've done is linked to www.nationalsolicitors.com/taylor-rose but ultimately we'll divert this to the .com variant of the Taylor Rose name. ie. it keeps matters simple. If you're a solicitor looking to work with us simply to help with your "online visibility" please don't hesitate to get in touch.